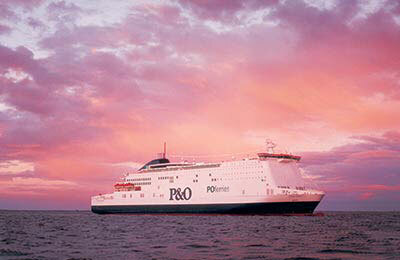 Rotterdam Europoort offers approximately 7 sailings a week to Hull, in northern England. Rotterdam Europoort in Holland is the largest ferry port in Europe. Located on the North Sea, the port is linked with Hull in Northern England with around 7 sailings each week and a crossing time of 12 hours. The ferry port terminal in Europoort is approximately 24 miles from the centre of Rotterdam. On approaching Rotterdam, follow signs for 'Europoort'. In the Europoort area, just follow signs 'Engeland' and 'P&O Ferries'. The dock number (Havennummer) of P&O Ferries is 5805. Centraal Station is Rotterdam's main train station. It is also a busy hub for the city's tram and metro system. From Rotterdam Central Railway Station to Europoort departure is at 17:00 hours at the "Eurolines" bus stop at Kruisplein. From Amsterdam Central Railway Station to Europoort departure is at 17:00 hours at bus stop H3. Both a café and a restaurant can be found inside the terminal building. There are also several shops selling local products and other conveniences. A bureau de change is located at the port, in the terminal building. The terminal building has good wheelchair access to all areas of the building. Disabled toilets are also available. It is advisable to contact the ferry company before departure to advise of and organise any assistance that may be required for your journey. Car parks at the ferry port is free.